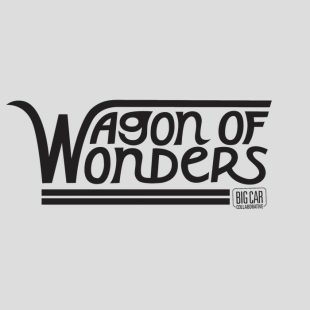 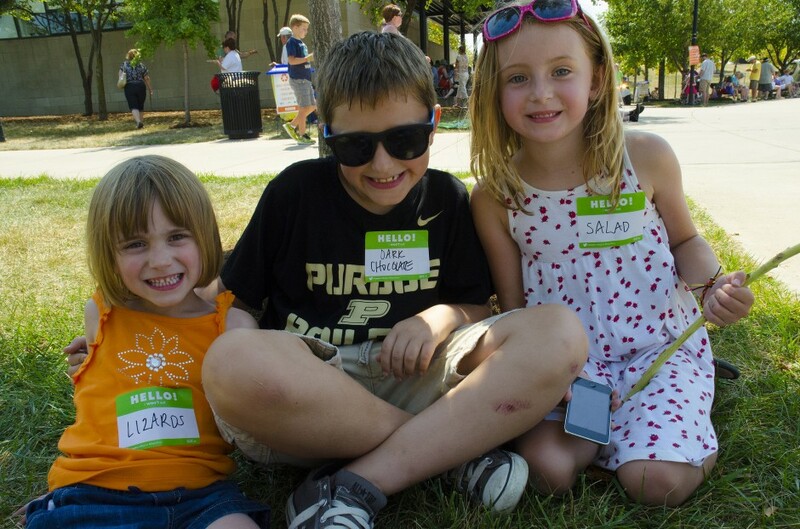 Big Car has had the opportunity to create programming during a wonderful food event, Dig IN – A Taste of Indiana. 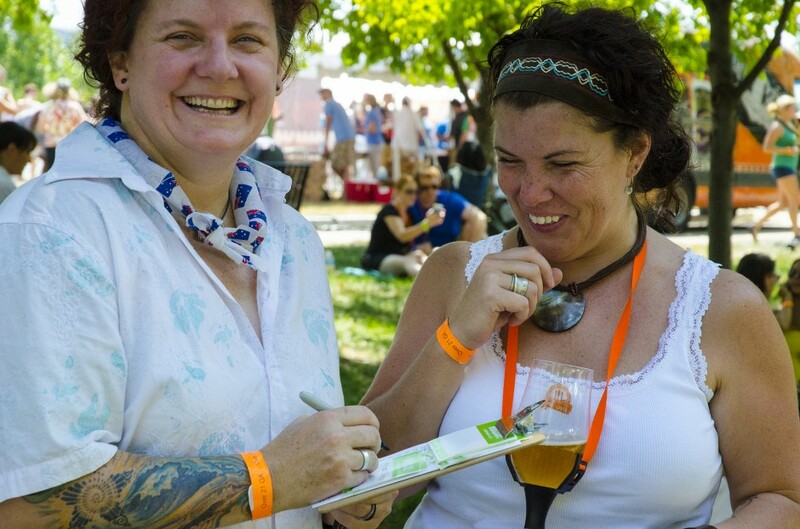 Dig IN, an annual outdoor public festival, features a tasty variety of Indiana-produced food, beer, wine and refreshments, and also features chefs demonstrating their cooking talents. 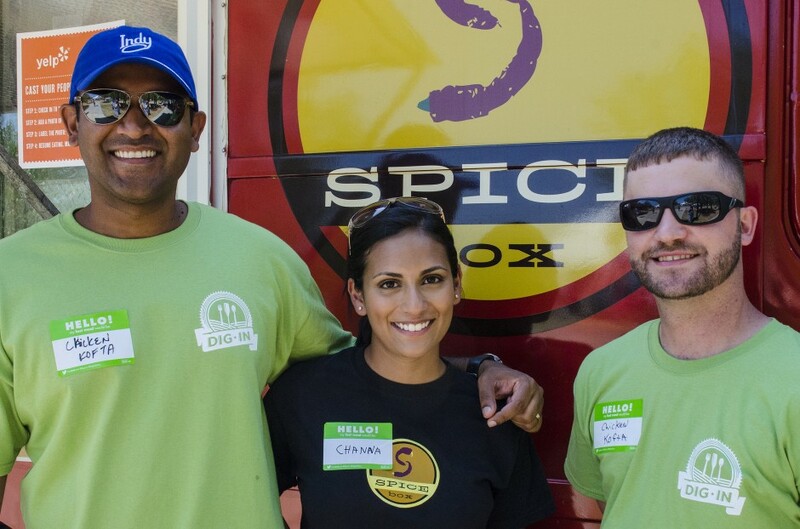 The festival, besides being a culinary bacchanal, facilitates connections within the Indiana food community to enhance economic development opportunities. 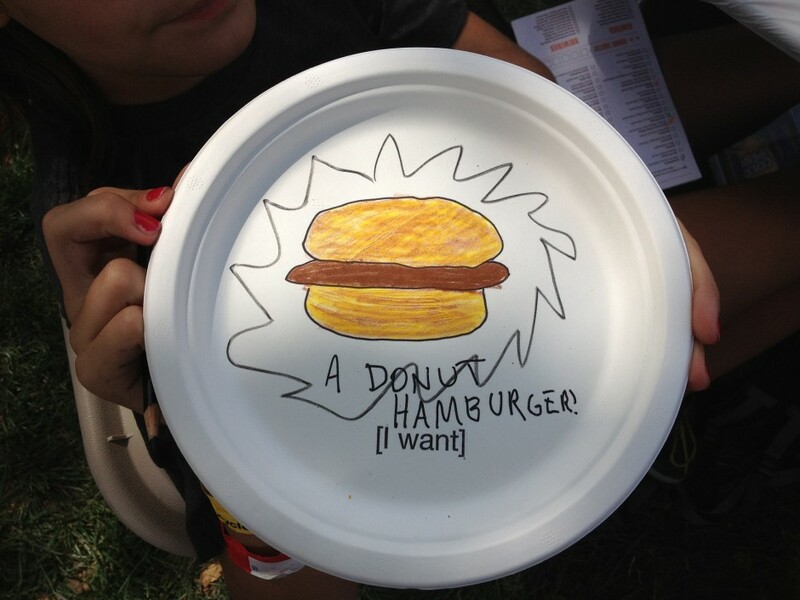 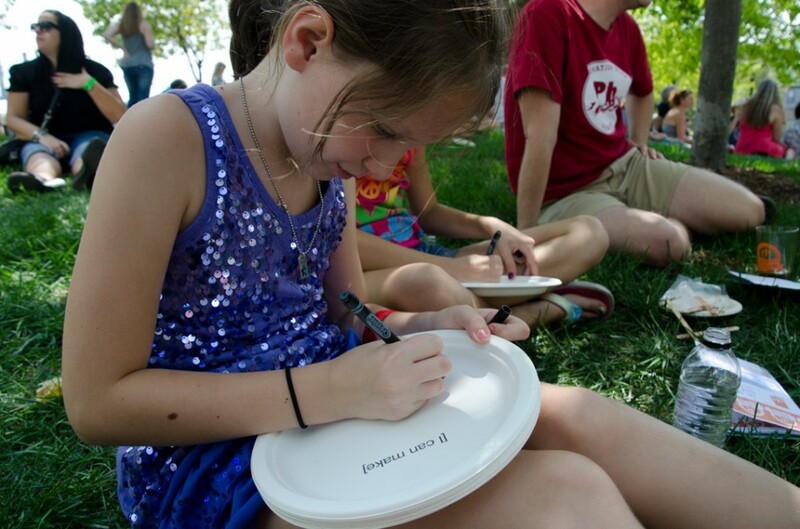 In 2012, we encouraged attendees to stamp white paper plates with “I want,” “I can make,” and/or “I remember,” and then to draw their desires and memories as they related to food. 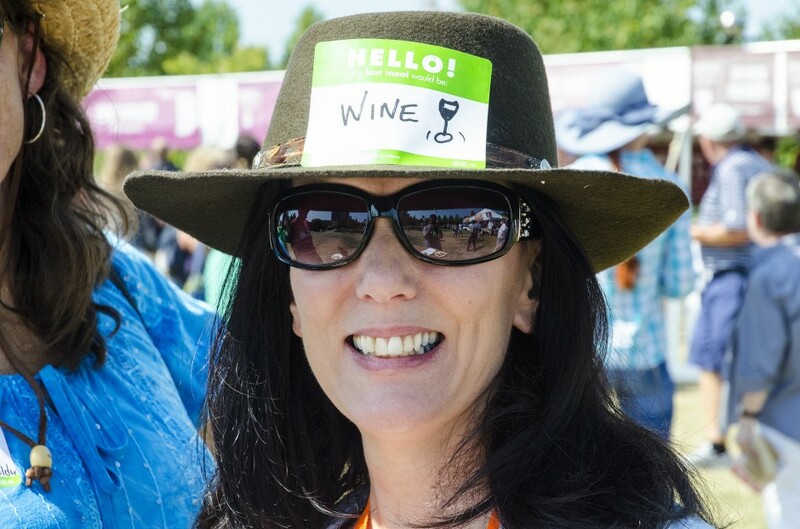 We hoped to inspire people to think about their relationship to food in a fresh way, and also to easily share their creations with other festival-goers. 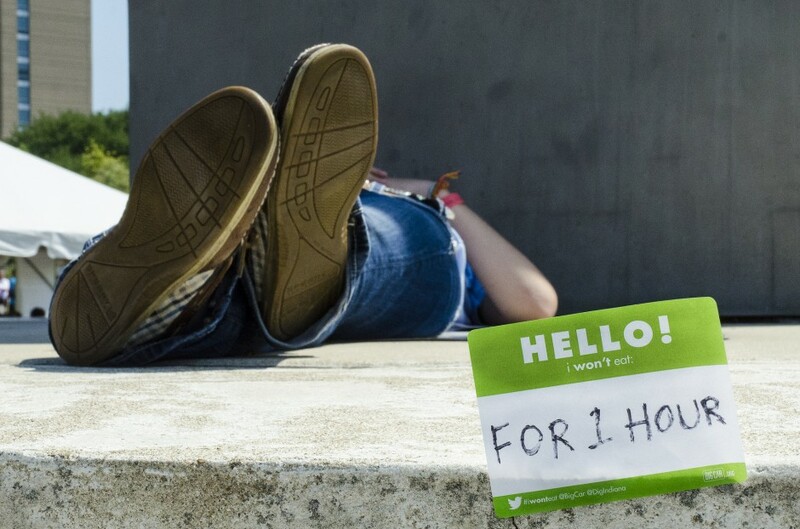 In 2013, we designed an activity that riffed on the beloved “HELLO MY NAME IS” sticker. 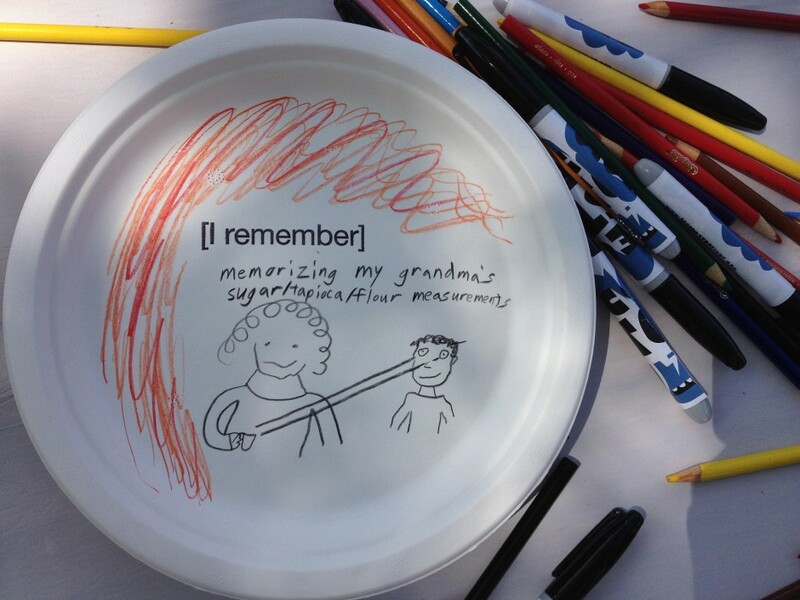 Guests were invited to fill out their own stickers that said, “My last meal would be…” or “I won’t eat…” which started up some super conversations and, naturally, lead to some great photos.